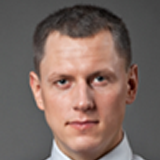 Przemyslaw Radomski, CFA (PR) is a precious metals investor and analyst who takes advantage of the emotionality on the markets, and invites you to do the same. His company, Sunshine Profits, publishes analytical software that anyone can use in order to get an accurate and unbiased view on the current situation. Recognizing that predicting market behavior with 100% accuracy is a problem that may never be solved, PR has changed the world of trading and investing by enabling individuals to get easy access to the level of analysis that was once available only to institutions. High quality and profitability of analytical tools available at www.SunshineProfits.com are results of time, thorough research and testing on PR's own capital. PR believes that the greatest potential is currently in the precious metals sector. For that reason it is his main point of interest to help you make the most of that potential. As a CFA charterholder, Przemyslaw Radomski shares the highest standards for professional excellence and ethics for the ultimate benefit of society. March 25th, 2019 | Is Gold’s Apparent Resilience a Show of Its True Strength? February 13th, 2019 | Where Is Gold’s Rally in Response to Yesterday’s USD Weakness?